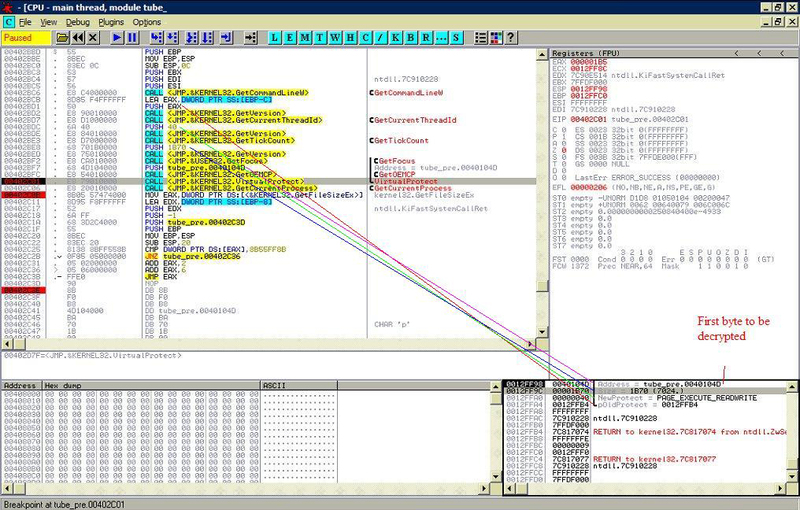 Today we will analyze a sample of a rogue security software that is packed by an unknown packer named Mystic Compressor, and that has been identified to be used mostly to pack rogue security software executables. 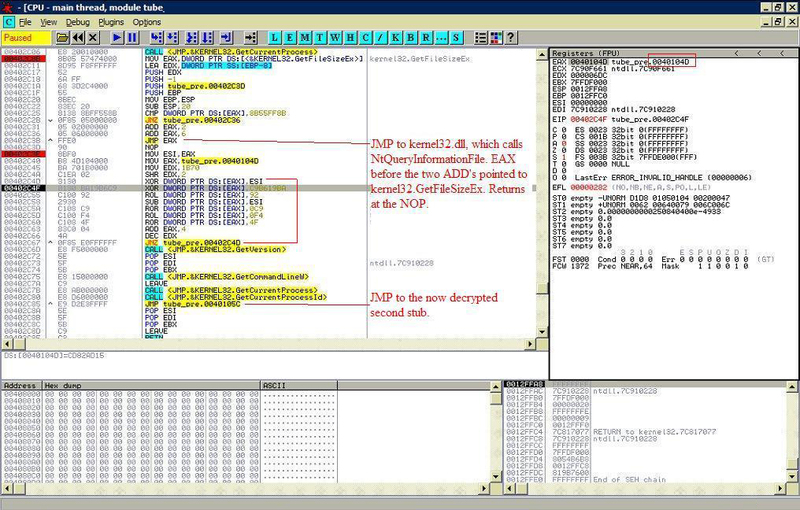 Call to VirtualProtect to make the data in the first section writable/decryptable. For some reason it spaces pushing the parameters for the call inbetween other API calls. Simple decryption loop and more pointless(?) API calls. Call to a Call which calls the second decrypter stub. Second stub, memory allocation and more decryption, nothing worth noting. Now at the JMP to the decrypted third stub, which was allocated at 0xA00000. 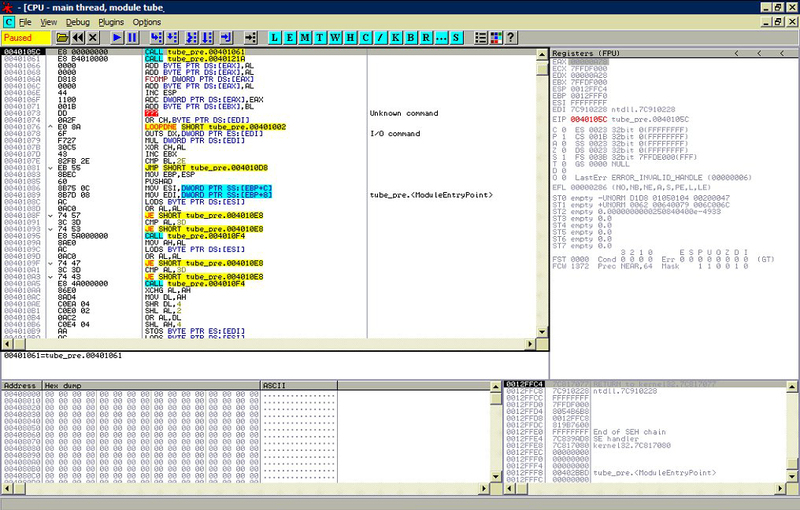 In the hex dump you can clearly see the string “Mystic Compressor”. More memory allocation and yet more decryption, basically the same as before. Now at 0xA10000, the forth and final stub. 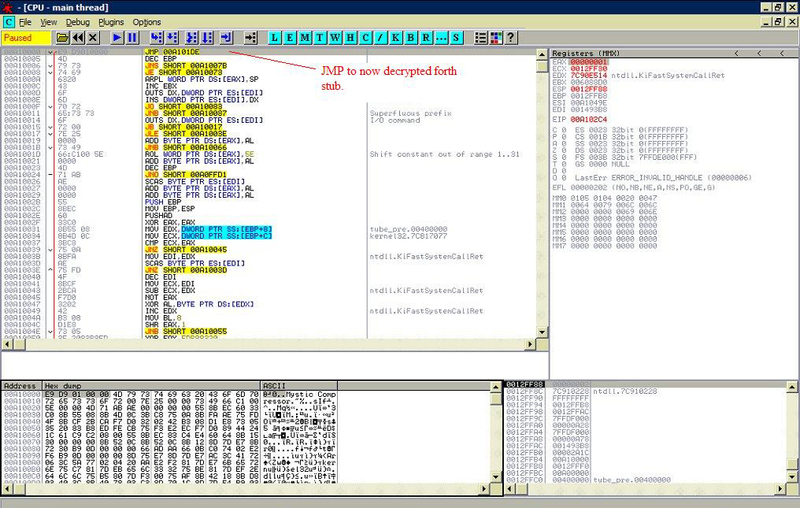 Goes thru more decryption and finally lands on a RETN 4, which takes us to the OEP. OEP of the packed file. 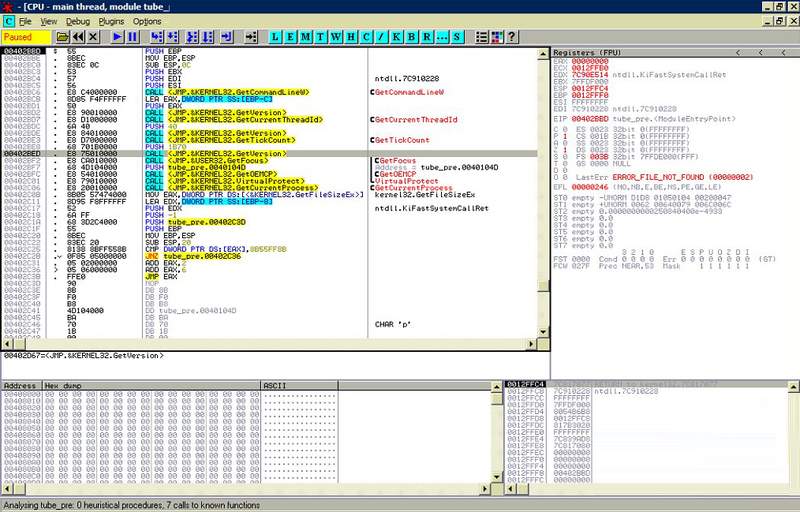 Lack of anti debugging made this packer fairly easy to analyze. But, I have found 3 other samples on MDL in the last few days that were packed with it so it must be popular. One file I found was a packed version of MicroJoiner, which dropped 8 files which were also packed with Mystic. 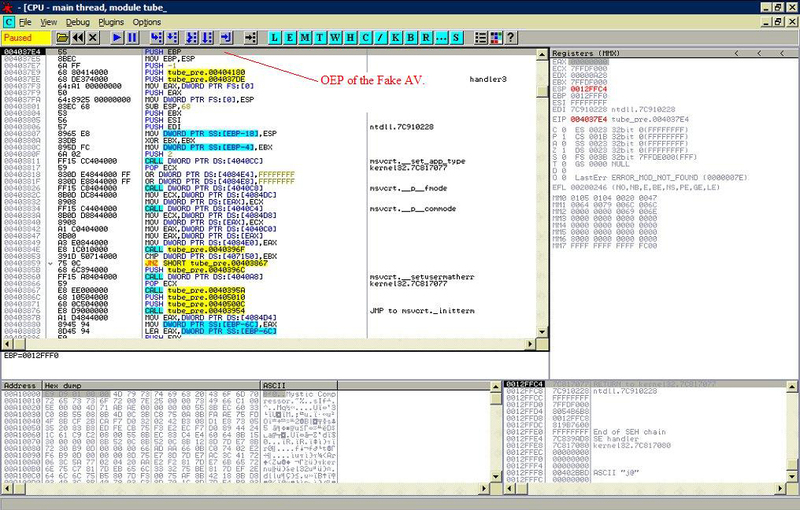 From the unpacked files, we can extract very interesting data that can help us to statically know or understand for what can be used the single files from the malware. 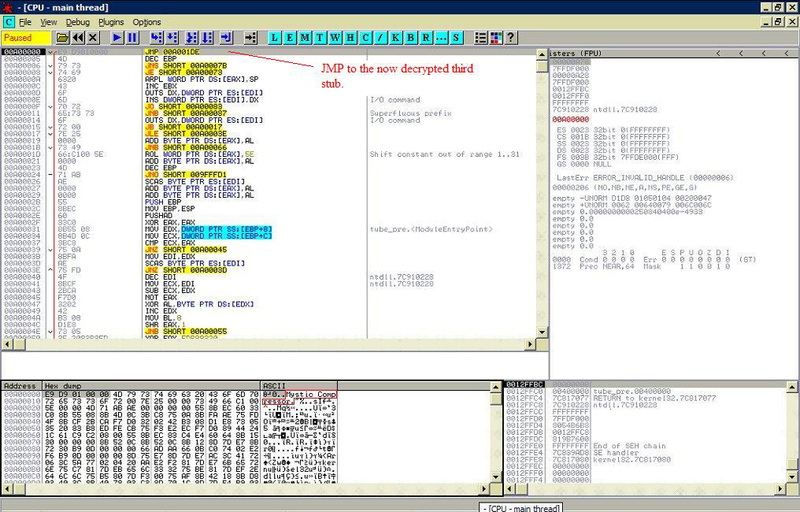 Posted by admin on Tuesday, January 26th, 2010 at 11:53 pm	and filed under Malware Analysis with tags malware, mystic compressor, reverse engineering, rogue, unpacking. You can skip to the end and leave a response. Pinging is currently not allowed.